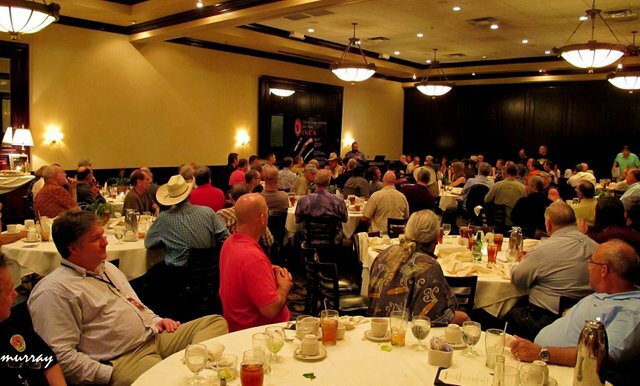 Our CKCA Mini Show and Banquet is held annually Thursday Night prior to the Blade Show in Atlanta, GA in early June. If attending Blade Show, you won't want to miss this, as our Banquet & Knife Show has become one of the most popular events at the Show. The Mini Show Knife Makers put together their hard work and pictures of the knives will be posted around early to mid May. Not only is this a great evening with friends, knifemakers and collectors but also an opportunity to meet new fellow enthusiasts, perhaps purchase a special knife and of course great food. The menu will be posted when we draw closer to the event as well as the price per person. We look forward to seeing everyone at the Banquet. Ticket purchasing will available from April 7th to May 31st. Please get your tickets prior to May 31st so we can expect you and account for food and space at our venue. If you will be purchasing more than 1 ticket please let us know who will be your guests that we can expect please. *Note if you need a gluten free meal, please give us notice when purchasing tickets. ​Along with anyone else with special dietary needs. As a reminder, The Mini Show Makers will receive 100% of the proceeds from the sale of their knives. The CKCA does not take any monies for providing and marketing the makers for our Show. If you are a maker and interested in future opportunities to provide a knife to our membership, please reach out to us. In the last few years we have taking a direction of giving back to our membership and many makers, dealers, suppliers and collectors have really stepped up to this new direction. We have had several provide "give away" items for our banquet to those members in attendance. Such items from the past have been knives donated by Kyle Royer, Jerry Fisk, Michael Ruth, CAS and Roger Glasser. Also a collector donated wood display boxes. Dr. David Darom has graciously provided several of his newly released books too! If anyone would be interested in donating anything to "give back" to our membership, please reach out. Ladies Only Giving Back. We wanted to give back to those members and supportive lady spouses. We started this last year and greatly appreciate Audra Draper for donating for the last several years. Along with Dana Gahagan for donating last year.